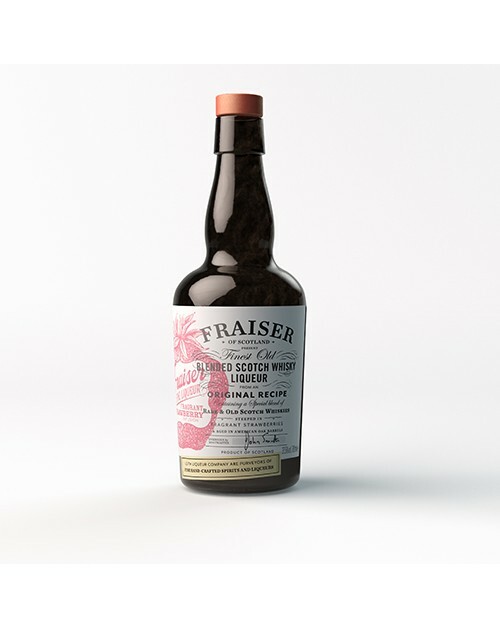 Fraiser Whisky Liqueur is not your usual whisky liqueur! Created by John Smith, the ex head blender of Glenmorangie, this very fine liqueur is steeped in fragrant strawberries and aged in American Oak barrels. It is distilled using the purest of Scottish water and harmoniously blended with an infusion of strawberries to create an elegant and intriguing taste which lingers long on the palate. Warming and satisfying.